Washington DC is the only purpose-built capital city I’ve ever been to that pulses with culture and has no shortage of great things to do. And yet, most visitors don’t venture outside the National Mall. Don’t get me wrong; the White House, the monuments and the museums are all wonderful and should be on every itinerary. But there’s a funky side to DC that you won’t find unless you look for it. And it’s worth looking. Here are the best things I found. 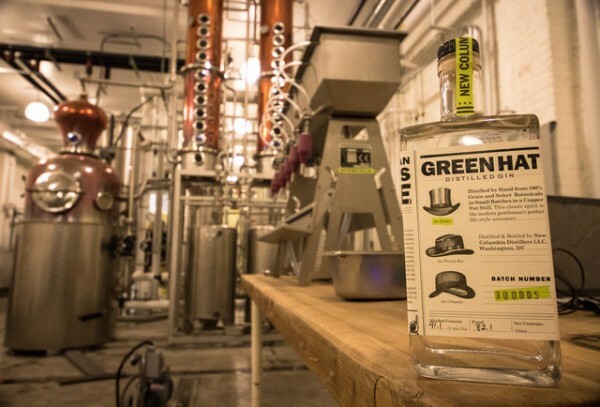 The first distillery in DC since prohibition, Green Hat operates out of a warehouse in the industrial area of Ivy City. They offer tours and free tastings every Saturday between 1-4pm. Not only is the gin delicious, but the distillation process is interesting, the stories about prohibition are fascinating, and did I mention the gin is delicious? I bought four bottles. 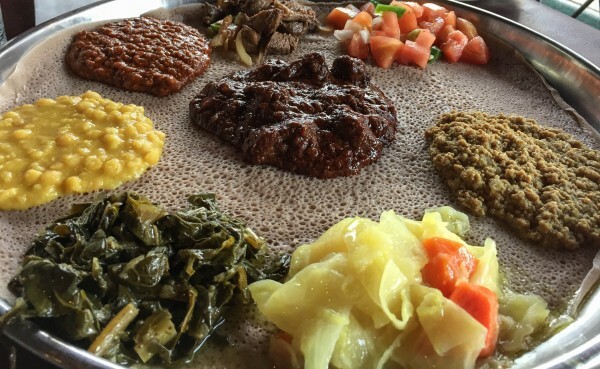 Serendipitously, Washington DC has some of the best Ethiopian food in the world. If you haven’t tried it before, do it while you’re here. Choose one of the combination samplers – you are served a large pancake in the middle of the table, with 5+ small servings of delicious food spread around it, and you eat with your hands by tearing off pieces of pancake and using them to pick up your food. We checked out the top rated restaurant (Dukem), and it was out of this world. 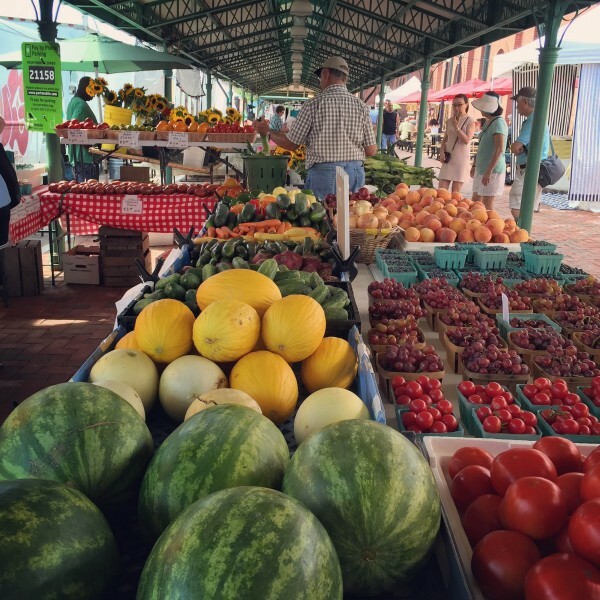 I had the best nectarine of my life at DC’s Eastern Markets. Plus, there are cute french-style cafés and great second-hand bookshops nearby. And the art stalls are better-than-your-average-market. I bought a screen-printed wood block that now hangs in my living room and I love it more every time I look at it. 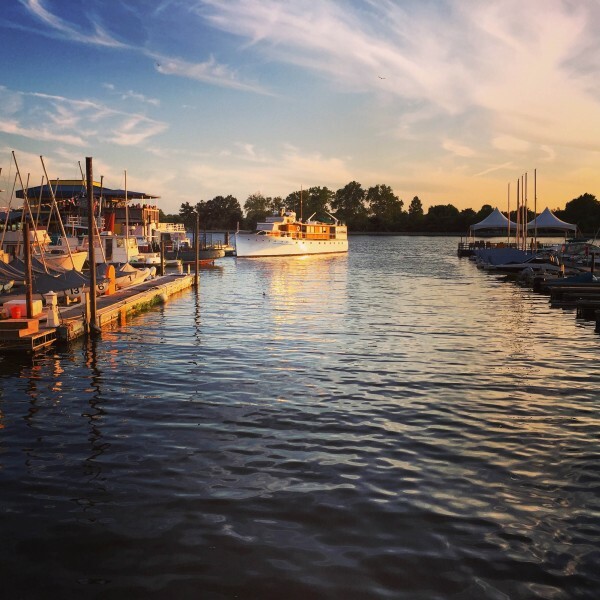 The area of Georgetown is well worth exploring. A delicious store named Thomas Sweet sells incredible old-fashioned fudge (and ice cream), and it’s just around the corner from a historic house and garden called Tudor Place. 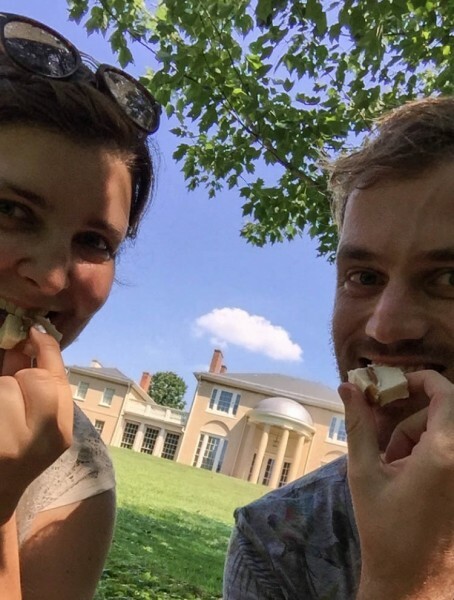 We killed two birds with one stone and ate our fudge under a tree in the historic garden, feeling like Lady Mary. Arena Stage in Washington DC is a fantastic theatre. I highly recommend having a look to see what’s on while you’re in town. I saw a sublime new musical by Pasek & Paul called Dear Evan Hansen. This photo was taken just across the road from Arena Stage – it’s a nice area. Who wouldn’t want to stroke a purring kitty while drinking a chocolate milkshake? Go to Crumbs & Whiskers. But do be aware that they have a limited number of guests per hour, so you should reserve a space online in advance (we ended up having to kill some time). I hope you venture off the mall next time you’re in DC. Let me know in the comments below if you discover any other hidden gems I should add to the list.